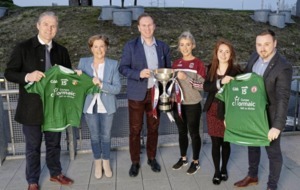 THE inaugural Joe McDonagh Cup has been an unqualified success with the fate of every county, bar Westmeath, still in the balance going into today's final round of fixtures. Unfortunately for Antrim hurlers, their fate is no longer in their own hands after last Saturday’s heartbreaking defeat in Mullingar. Having trailed by eight points at the break following first half goals from Ciaran Doyle and Niall O’Brien, the Saffrons mounted a stunning comeback. Dunloy rookie Keelan Molloy illustrated his undoubted potential by scoring a brilliant goal as Antrim bagged an unanswered 1-6 to take the lead in Cusack Park. Yet, Antrim’s luck has deserted them for much of 2018, with narrow defeats being the story of their season. The decision to disallow Conor McCann’s second half goal for a ‘square ball’ infringement was extremely harsh while referee Rory McGann failed to add sufficient time for Allan Devine’s stalling tactics when scoring a ‘65’ in injury-time. A 2-19 to 1-20 loss last weekend means that Antrim beat Kerry and hope that Westmeath do them a favour by seeing off the challenge of Carlow, who are also vying for a place in the Joe McDonagh Cup final. Even the most optimistic Saffron supporter will know the aforementioned combination of results is unlikely. 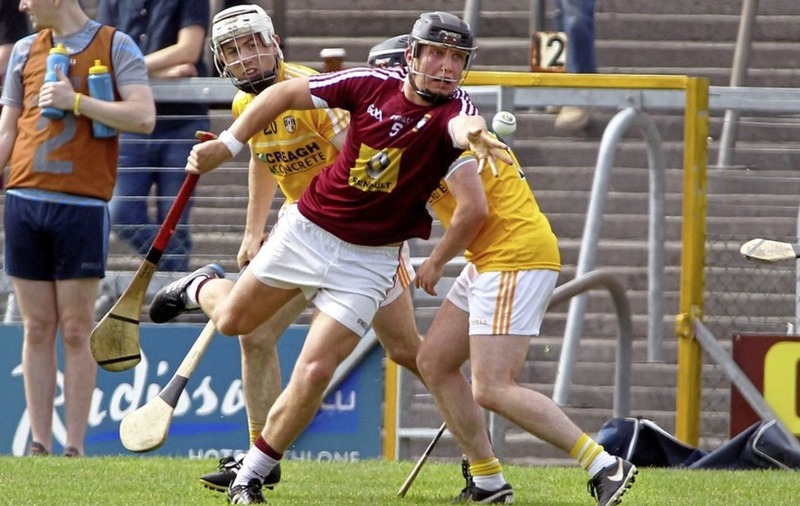 That said, Westmeath boss Michael Ryan insisted after the game that they will be hoping to maintain their unbeaten record throughout the competition. 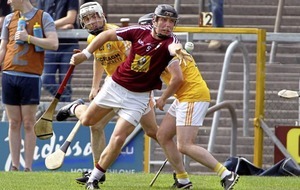 “Out of respect to everybody, we’ll be going down (to Carlow) to try and win the game,” said Ryan. “Winning is a good habit. There’s no guarantee we’ll win it, but we’ll be doing our best to win it. “We picked up a few injuries, so we’ll have to balance that out and there will be a few fellas coming in. 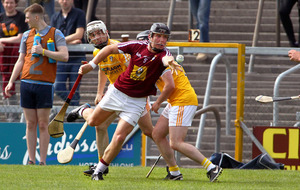 While Westmeath have little more than pride at stake when they travel to Netwatch Cullen Park tomorrow, the same cannot be said for Antrim’s opponents. Kerry’s win over Meath last weekend has given the Kingdom a fighting chance of avoiding a relegation play-off. The Royal County, who have lost all four game so far, look set to make the drop to the Christy Ring Cup in 2019, but the team who finishes second from bottom will face a play-off against the Christy Ring Cup winners. A win for Kerry would see Antrim in finish in fifth place should Laois defeat in Navan, due to their head-to-head result against the O’Moore men. It would seem grossly unfair if Antrim find themselves in that scenario tomorrow evening. Joint-manager Neal Peden insists that the Saffrons must concentrate on the task at hand, rather than worry about the various permutations in play. 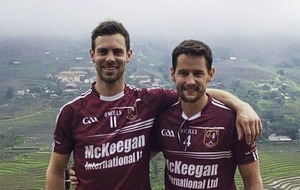 “We are hoping for Westmeath to go out with a bang but, in saying that, we have to beat Kerry,” said Peden. While Antrim will be expected to defeat the Munster men, they won’t take the challenge of Fintan O’Connor’s men lightly, despite being pre-match favourites at 8/15. 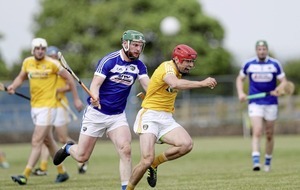 The last time the sides met competitively, the Kingdom condemned Antrim to Division 2A following a 2-16 to 1-18 win in Parnell Park in 2015’s 1B relegation play-off clash. 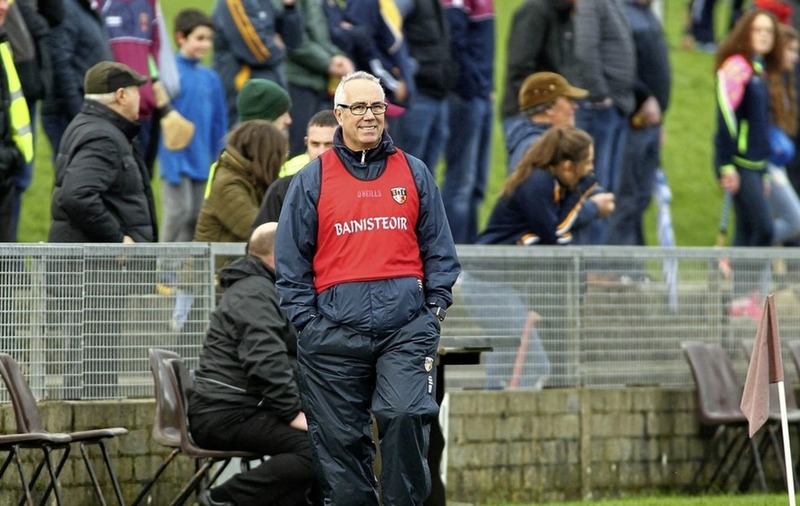 A few lean years followed, but there’s a consensus that Antrim hurling is moving in the right direction. 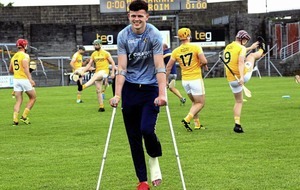 Even without the injured duo of Joe Maskey and Michael Armstrong, Antrim have should enough strength-in-depth to repel Kerry tomorrow with Molloy likely to see more game-time following his impressive second-half performance last weekend. 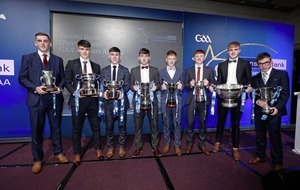 However, it would be a massive surprise if the result in Carlow goes in Antrim’s favour and the Barrowsiders ought to join Westmeath in the Joe McDonagh Cup final in Croke Park on July 1.